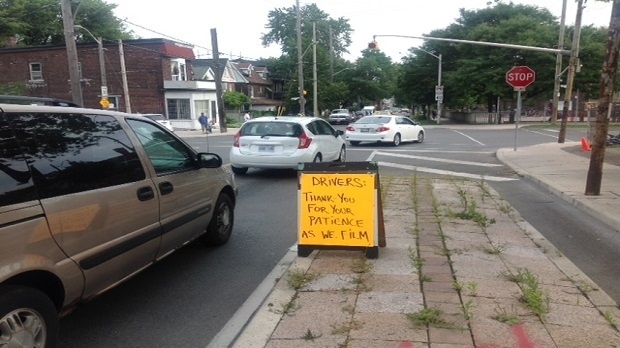 Riverdale has become a hot spot for Hollywood North but a new 24-hour film shoot has led to some complaints in the neighbourhood. 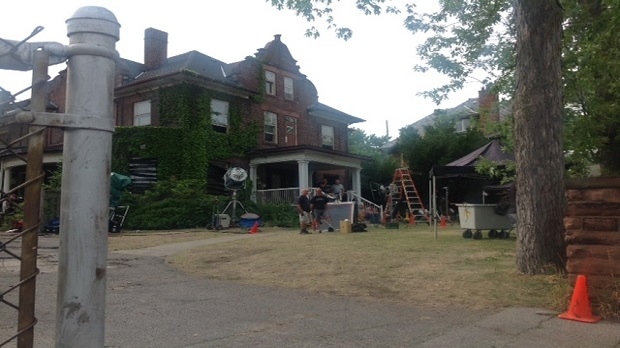 A mansion in the area is the stage for a horror film being produced in Toronto but neighbours say the 24-hour filming schedule has become a real-life horror movie for those who live in the community. “My wife has left town, can’t handle it…” said Nick Shcherban. His home is located right next door to the mansion. He doesn’t get much sleep these days, he said. The vacant historic mansion located at Pape and Riverdale avenues is the spooky set for “It,” based on Stephen King’s 1986 novel about an evil, murderous clown who terrorizes a group of children. Despite the disturbance, other people living in the community said they were happy Riverdale could play a part. According to City of Toronto bylaws, if one property is used more than twice in a year, 51 per cent of area residents have to agree before additional productions start rolling. But for “It,” an exemption to the bylaw allows the company to film 24 hours a day. 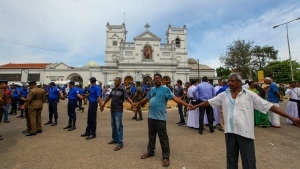 “The production company physically canvassed the immediate area and received resident signatures of permission exceeding the city's minimum requirements,” said Zaib Shaikh from the Toronto Film Office. The R-rated film being produced by Warner Bros. set up shop in Riverdale last week and is expected to wrap up by next week. The current owners of the mansion on Pape Avenue had hoped to redevelop the one-time home of the Salvation Army into condos, but the plans weren’t approved. For now, it remains a popular destination for filmmakers. This is the tenth production shot at this location this year, including CTV show “Orphan Black,” Shcherban said. This mansion in Toronto's Riverdale neighbourhood was also used for other productions, such as CTV show "Orphan Black."